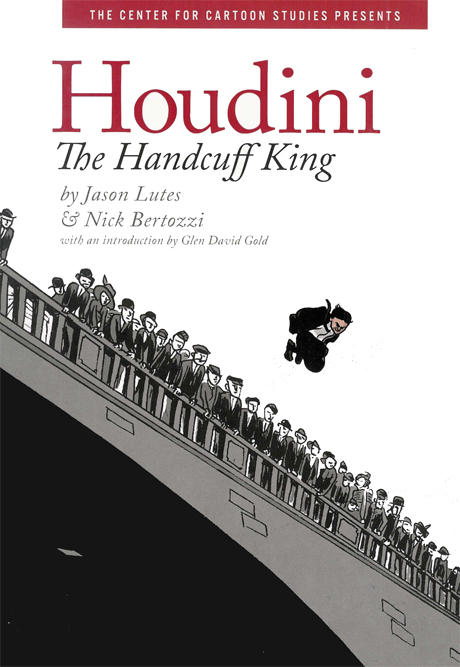 I loved the graphic novel Houdini, The Handcuff King written by Jason Lutes, drawn by Nick Bertozzi. My only criticism: I wanted the story to go on longer! I was thankful for the introduction and the fascinating and detailed end notes. 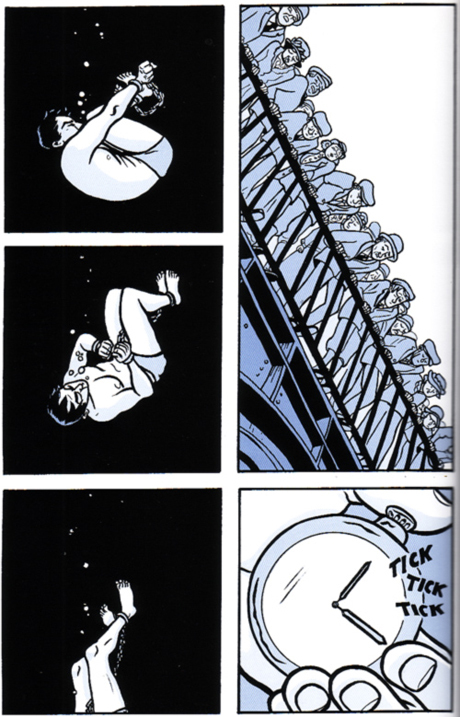 The added text helped flesh out the historical and social context of Houdini’s enduring story. A part of my wish for more came true. 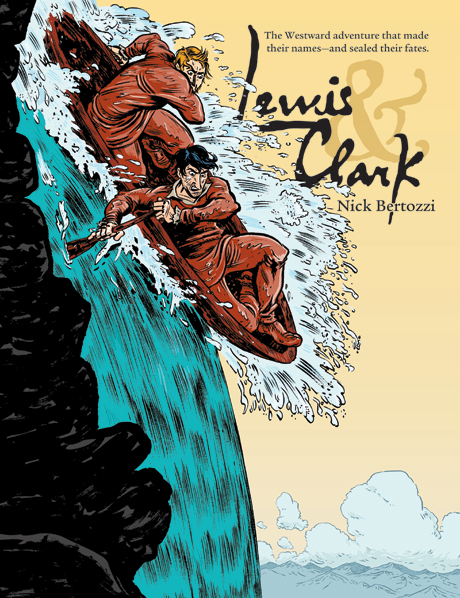 Nick Bertozzi created a larger, longer graphic novel, also based on U.S. history, Lewis and Clark. Published by First Second, a division of MacMillan, this book weighs in at 144 pages. This is a great read for reluctant readers, myself included. Lately publishers have been producing movie style trailers for books. In the case of graphic novels, trailers do make sense, giving a quick overview of the visual style and pace of the story. The trailer for Lewis and Clark is just over a minute and worth a look. There is an interesting interview with Bertozzi at the Comics Reporter. At one point he talks about his study of the art movement, Cubism, for another graphic novel project, The Salon. “I wasn’t passionate about (Cubism), but I was passionate about understanding why it was important. …One of the great things about comics for me is that it’s this wonderful catch-all for learning.” That’s something like what I say about illustration, illustration is fascinating because it can be about anything. An aspiring graphic novelist, or illustrator, is rewarded for being curious about everything in the world. 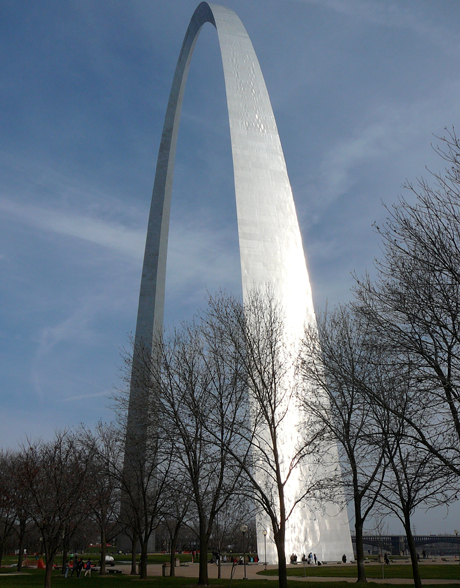 I was in St. Louis in March and walked to the arch at the Mississippi riverfront. Much of the underground museum there, The Jefferson National Expansion Memorial, is devoted to telling the story of Lewis and Clark’s expedition to “expand the nation.” Awe-inspiring mural-sized photographic prints line the walls depicting the locations where the expedition paused. The photos are accompanied by descriptive quotations from the Lewis and Clark journals. I am not a historian, but I found the displays quite attractive and informative. Spoiler Alert: There were parts of the Lewis and Clark story that I didn’t see in the National Expansion Museum. Maybe I had looked harder I would have learned about Captain Meriwether Lewis’s binge drinking, his bouts of depression, and his eventual suicide. Bertozzi tells the whole story, warts and all. I found Bertozzi’s narrative complex and thoughtful, and even the tragic ramifications of the expedition were handled with grace. I looked for his book at the Arch’s museum bookstore; it wasn’t there in March. It belongs there, there is a need for quality nonfiction illustrated books to keep young readers hooked on reading. We all need to consider U.S history and its remarkable ramifications. < Previous Jan de Vos: In the flesh. Next > Something Craig Frazier taught me.